Three Maoists were gunned down by the security forces in an exchange of fire near the Mankeli forested terrain of strife-torn Bijapur district, about 400 km south of Raipur on Sunday. RAIPUR: Three Maoists were gunned down by the security forces in an exchange of fire near the Mankeli forested terrain of strife-torn Bijapur district, about 400 km south of Raipur on Sunday. Bastar range inspector general of police Vivekanand Sinha told the New Indian Express, “The gun-battle took place this afternoon near Mankeli village under Bijapur police station limits. Sinha said, “It was a planned operation by a combined party of Special Task Force (STF) and District Reserve Guards (DRG) of Bijapur. “We had intelligence inputs about the presence of Maoists in Mankeli region,” said Sinha. During a search operation of the encounter site, bodies of three rebels were recovered. Three firearms, including one INSAS rifle, and improvised explosive devices (IEDs) were also found. There could be more casualties on their side, but we are not sure as the ultra scarry the bodies of their cadres while feeing, the police claimed. There was, however, no report of any injury sustained by the forces. On November 7 this year, six Naxals, including five women, were gunned down in two separate encounters with security forces in Narayanpur district of Bastar region as part of Operation Praahar-2. 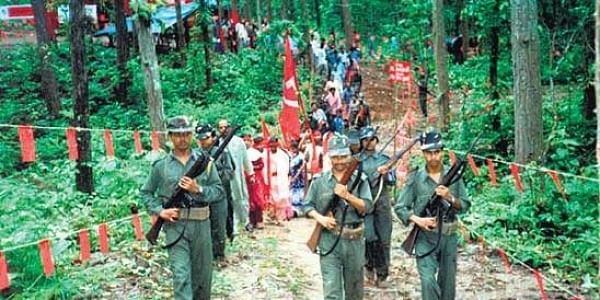 Bijapur is among the seven worst Maoist affected districts in the conflict zone of Bastar in south Chhattisgarh.